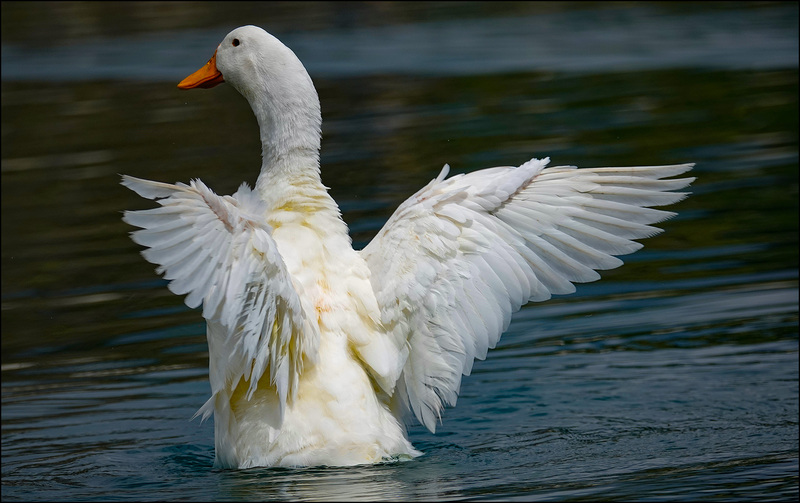 This is our favorite white duck flapping herself dry after a busy session of swimming around in our local lake. Why is she our favorite? Because she and her hubby have been around for years and are adorably dedicated to each other. This is probably true of many other duck pairs too, but all the rest of them look pretty generically identical so there’s no way to tell. These two, however, are the only white ducks in our little lake, and they never let each other out of their sight.